It's time... for your Fall Essentials!! We know.. you don't want to hear it but we're going to say it anyway.. jacket season is HERE! For a tall woman this can be a horrendous realization. Finding outerwear that fits your lifestyle & your frame can be VERY difficult!! Luckily, Hye Fashion has your outwear needs covered!! Here's a few of the FAB styles we have in store now to solve your outerwear problems!! This classic style wool blend coat is perfect for crisp fall days and into the winter as a dressy overcoat. With a three button closure and welt style pockets this piece will last you season after season without going out of style! This lightweight rain coat is the perfect style to layer to with! Wear it on its own on warm rainy days and pair it with a hoodie or sweater when it gets a bit colder but still rainy!! This season we are SO happy with the sizing of these, our 6-ft model LOVES the sleeve length & the fit!! Available in Camel or Indigo you can easily bring this rain jacket into spring too!! This sleek new update to Orb's best selling jacket is everything you need this fall. 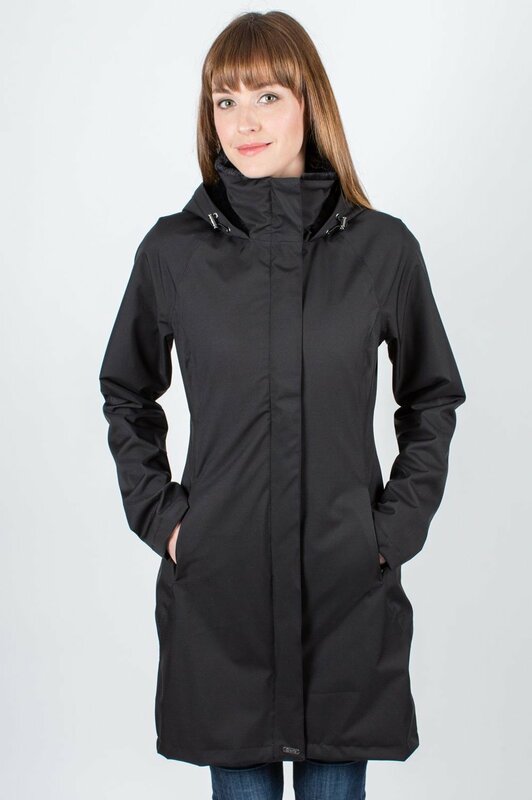 With faux fur lining and a breathable & waterproof exterior you'll keep warm and dry no matter what #yeg hits us with! Thanks to the long sleeves and mid-thigh length it makes it the perfect fall coat for YOU!! Posted on September 27, 2016 by Hye Fashion.